WHY DO I WAKE UP ALWAYS AT THE SAME TIME? Thank you immensely for what I receive from all the Masters. There are days I sleep very little, always waking up at the same time 4:06 a.m., why does it occur? Thankful! Honey. I could tell you, if I may, that nothing is the way you have learned. You have learned that there is a bedtime, but it changes throughout life, the energies, and the mood of a period. It is absolutely normal. Perhaps it is a sign that you can let go of these dramas, these rules, these social conventions, for example, that there is a time for you to sleep. Sleep time is the one your body needs to rest, which can vary and it is good that it is. For us, change is always difficult, but when we have acceptance with the process, it just happens. Be in peace. 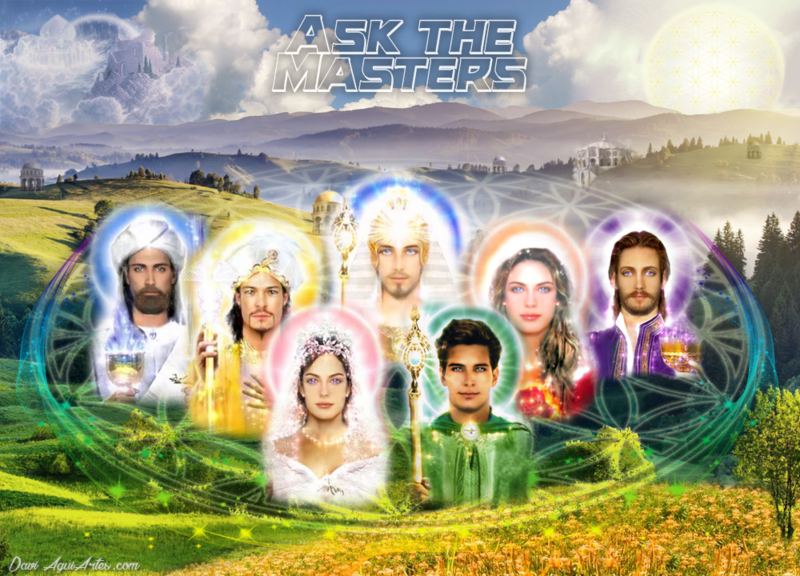 Beloved Masters, and dear Thiago and Michele: you may have already felt it, but I will persist by reiterating how much I woke up after the answers I received. The feeling of displacement, the mental disorder, everything has been appeasing in a way that I did not expect. In another message I have already mentioned how I have always felt with the "world on my back" since I was very young, and that energy radiated both to positive things and to concerns that did not need it. This anxiety, even diminished, still occupies most of my days. Although it has been revealed to many substantial truths in such a short time, I still find it difficult to know what the next steps would be (if any). I have very intense dreams and, even living happily, sometimes find myself confused, trying to find meaning - and an answer - in everything, as if waiting for a new discovery. The question would be: Should I go looking for something? Thank you. Daughter. Greetings! When in doubt about the way forward, perform an exercise that will lead you to contact your light body. Close your eyes and breathe, calmly. You are no longer this body, but a body of light, a flame that flames. You are pure consciousness. And at that moment say with all the intensity of your being, "I Am." But the saying of these brief words is not something to be just said, but rather to be felt to the fullest extent. Say, "I Am," and continue to breathe. Now you are this body of Light, that body of energy that is pure consciousness. You look around you and you no longer see matter, but condensed energy. Everything is an energetic representation of something greater. And in this soup of light you repeat: "I am. I am the connection with all That Is. I am the Light. I am nothing. I am". And in this state he looks at life disconnected from fears, longings, doubts. You look at the side and it is simply, not only you, but everything that is at your side. And in this state you begin to move away from material life, you look at the planet and each of its continents, you look at the rich countries, the poor and see that each of them has its virtues and its difficulties. In this whole entanglement, where are your problems, your doubts? You are light, it is everything, it is love. And say to yourself, "I Am" and everything goes like a breath, a light breeze. There is no longer any doubt at this level, everything is gone. You saw yourself in your true nature, even in a few seconds. And so it is. WHAT ELSE IS NEEDED TO CONTINUE MY EVOLUTION? Dear Master Pórtia, I am very grateful to you for your attention to me, and I beg your pardon for my ignorance, I feel even ashamed. But I could not understand his message in answer to my previous question. I understand that I have already forgiven those who should, I so much desire the happiness of this person, I do not hold hurt, nor anger. Each time that person is violent with words, offending me and humiliating me, I think it's only natural that I want to get away from it. How to live well with such a person? I've improved a lot, and I try to correct myself in many things. When I am mistreated should I act as if nothing had happened? If you do, you end up taking advantage of the situation as you always do. Despite this, I forgive you, bless you and free you to be happy, I can not do this, and go my way? Beloved Master, I do not know which are the points I need to develop, I have already analyzed, improved and worked very hard. Said I should "take back in remembrance this points", how do I do this? 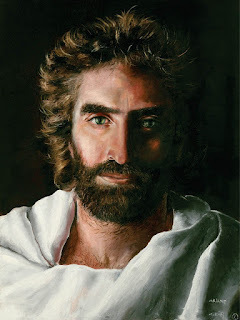 I have tried meditation many times and I have not been able to do it, I do the connected prayer of 4 steps, ho'oponopono, prayer of forgiveness, affirmations of Saint Germain, I try to have optimistic thoughts. I was thinking I was making progress, but am I just skating? I decided for the public tender for stability, financial independence and so I can follow the path I think is best, but who does not want it? All my effort will be in vain if I do not find out what points these are and eliminate them before the test, if it is so, I understood that I will not pass, is it? I thought I was on the right path to my achievements, but not really? Teach me then, please, how to heal these points that I sincerely do not know how to discover what they are, and how to transpose them or transmute them, because with all the above practices, by the changes in me that have already happened and the practice Of the forgiveness I already practice, I no longer know what is necessary. Thank you very much! Daughter, do you realize how much you suffer in advance? Do you see that there is a point that needs to work to detach itself from this process? There is a moment, daughter, that the pain may be so great that the only alternative is to seek what you feel. You say you feel like going away from someone, but why have not you? What binds you? Maybe it's another point you need to work on. Look for something that already enters as if it had not worked. You need the certainty that you will succeed, even before you try. See that we have another point to work on. You stop searching, feel your body and what your heart tells you, seeking an answer because you understand not being able to seek for yourself. You need to work on self-love, self-confidence. Was that the fourth point or not? What do you think? Or were they all the same points we say, with the same origin? What does it tell us? There are no ready answers daughter. But there is one that can help you a lot, which is the duty to take the reins of life. To seek for its purpose, believing only in itself. All you need is to trust yourself. It is to anchor the courage, the faith, is to play in life without fear, with confidence that the best will happen. Be surrounded now by the blue ray of protection, and trust the process. Let it unfold without much need of understanding, for the path is only one, from today to the future. There is no other. situation happened in my work (which I do to have an extra) which increased my dissatisfaction and made me wonder if it is not the world getting me out of my comfort zone. If it is not the time to change, to think differently (as the entities stressed on the weekend). I even wondered if the city that I live in today and that I love so much also already asks me to close this cycle and go somewhere else. Beloved, it all hurts. In fact, I can not stand walking, walking and not leaving the place. I want to show my potentialities. I recognize how much I learned there where I am now. But, please, beloved, give me a direction. What do I need to see? What I need to learn? Does getting out of there and trusting my work as a therapist relying on my father's help is too risky? I thought about trying a publisher. I do not know, my soul asks me to look for something where I do not feel so devalued. Please, beloved ones, I'm tired of never leaving the place. I really want to learn what I need and change my existence. I'm ready to listen to what you have to say. Donate whatever hurts. With love. Gratitude! Daughter. You need to learn something these words will not teach you. You will have to go through all those difficulties you describe, and seek again the mental paths of matter, until you discover for yourself the purpose of matter in your life. It still carries the belief that you will achieve full happiness, from experiences, that you think will complete you, that will bring you gentleness. But you do not realize that this is within you, and you will never find what you are looking for wherever you are. You must then seek the mental paths of matter, trying to find yourself, until you come to the conclusion of your highest purpose, to get in touch with your I Am and realize that all paths will lead you to the same place, the to find herself. These words alone will not teach you this, for the vision you have of life still does not allow you to have the wisdom you need to understand them. You will come back in the future to read this text and then you will understand at the deepest core of your being, what we tried so often to convey to you. Often, daughter, it is necessary to obey rules, to understand what matter is made of, and then to live it without revolting with everything around you. For revolt, this feeling of non-belonging, comes from the ego that still manifests itself and does not understand experience as it is. But all paths will lead you to this understanding, where after so many toils, so many mischiefs, softness will open to you, so that acceptance will prevail in your being, and then matter will gain new contour in your life, be all focused for your own elevation. You will anchor the purpose of soul evolution regardless of place, circumstances or whatever. That will be your highest purpose. But for now, you should just continue to seek as you do, until true understanding is anchored in your heart. Be in peace. Masters. My daughter, now 16 years old, is always in poor health, I always have to take her to the doctor, try everything, psychologist, homeopathy, but I'm not successful. How can I help you? I'm very grateful! Daughter. We'll give you two texts, one for you and one for your daughter. For you: we ask you to understand the process through which it passes, you need to detach yourself from the emotional play of mother. Although her affection is enormous for her, and she really wants to do everything to help her, we say that the best help she can give is to follow her own path, but without entering into the emotional game of victimization and pain. We do not say to leave it physically, but to do it emotionally, and trust the process. Do not give so much importance to this process, and let it feel the weight of your own decisions, your own emotions. While supporting it, it will not allow it, by itself, to end this repetitive process and work its own emotions. It is necessary that we allow all of them to feel the weight of their emotions, which often even affect their body. For your daughter we ask that you deliver the following words: Free yourself from the process you are going through, observing that there is a cycle that repeats itself in your life, where what you want is the feeling of freedom. She goes through a phase of great internal conflicts, where she leaves the age of dependency of her parents and starts to search for herself. Know that this process is natural in everyone, and every human being goes through exactly that feeling at this age. Just allow time to play its part, where you can then find out what it is, without interfering with your life. Be in Peace. Dear Masters, if possible I would like some clarification on some experiences and some events that have occurred and continue to occur to me. A few years ago when I was undecided about which faculty to do, between necropsy and computer engineering, I had an experience where I was in my all-white apartment, and I was behind a counter that separated the kitchen from the living room, and I found myself already "old", arriving and depositing the key on the bench. With that, I became curious and went after my "I". As I was entering the corridor I realized that my physical body was running out of breath, unable to breathe properly, and as soon as I returned to my body, I felt paralyzed and really short of breath, it took a few minutes to recover. And then I knew it was for me to do computer engineering. And after that experience, I started to go bad to the point of running out of air when I was wearing some white clothes, or entering some totally white environment, and to this day I do not know why my "trauma". A few months ago, I began to have many other experiences. The first one, I was on a farm, so I realized, I was with three other people, two of them went to another path, meanwhile me and the third person who was with me, she was a lady with her age somewhat advanced, should be about 60/70 years, we heard a cry of a child and we went to see where it would be coming, soon we entered a room, I realized it was a reception and had several people, I looked at the door and had a child, and this Lady told me not to be afraid, I crouched and this child came running to my arms, when I caught her I began to see images on my mental screen, which, I do not remember, as soon as I finished passing these images and I looked at the child on my lap, I realized that I was no longer a child but a dog, and as soon as I looked at the door I had a gentleman, I believe he was around 40 years old, that gentleman had his head tilted to one side and with the bible in hand, soon I got in hand Of the defensive, because I felt a negative energy coming from that gentleman, soon after he came and went inside the counter that had and I went to the door, it was very dark, I could see some blue lights further, and soon I saw some grays Coming toward me, my reaction was to stretch my arm forward with the open palm and say that they were not welcome and would not come in, they were half confused, bewildered, aimless and colliding between them, after that, before returning to my physical body, I was in what appeared to be my bedroom and lying on a bed, which seemed to be mine, and I saw that there was a being sitting in a chair, he was small and he was looking at me, I did not feel that It was negative but positive and I went back to my body. After a few days I was talking to my girlfriend and I had my body completely paralyzed, my body stiffened and I could only move my eyes, breathe and speak with difficulty what only happened when I was asleep, that on one of these occasions I felt very small beings and Very loving and I felt that they sent me energy, I asked why, and they answered not to fear, that it was an update in my DNA, while I was receiving this wonderful energy, I saw that my body was floating a few inches from the bed and so the energy was diminishing my body went softly down to land on the bed and in that I fell asleep. A few days later, while I was asleep, I saw a bright light half blue and half green, so I felt I was my "SUPERIOR" or my mentor, I did not see the face, this "light" asked me if I was ready, I said yes , I felt that I was leaving the physical body, but something would not let me leave, until I consciously strengthened and said aloud that I wanted to leave the body, and soon I saw myself passing through a metal door, and that light said that some People wanted to meet me, I was getting close to these people, I did not see the face of any, one of these people asked in that light "is it?" When she answered "yes," they soon introduced themselves and said that they would introduce me to a group that I would be part of, I was led to a dark room, there was only external lighting, and one of the people in that room asked the person / being who was leading me "is that he himself is" can not be "and had some more conversation that I do not remember. About two days after I had an experience where I went to what looked like a huge shed and had three people trapped inside, two women and one gentleman, each in a room, was a large room at the front where one of these women and in the back of this room were two others half the size of the first, in the room on the left was the other woman and the one on the right you, before entering to release these people I talked to them through the grid that was in the first and with that I could have a wide view of the three, I do not remember what I said, I went in the first one, the woman left, I went straight to the room where you were in prison, we talked a lot, I do not remember anything about the conversation, but I remember he did not want to leave and we both cried a lot, right after I released the other woman and I left the shed, there were a lot of people at the door, I got the door lock and I asked "my" technical team to come in, and we started there to tinker with many computers that were on the side opposite the cells, in what I realized we disabled some things that I do not remember what they were. After a few weeks I was paralyzed again, and I awoke, felt a presence in my room, near me, this time I was able to turn my neck to see and I could see a Zeta, he was sitting on the floor with his hand extended to me and soon saw that I woke up he jumped to his feet and increased the energy by closing his left hand on his right wrist. Days later, I woke up again paralyzed, but this time I felt a negative presence, I asked what this being wanted, in which he replied "let's enslave your entire planet", I tried to expel him, but he was "stronger" than I, immediately I asked for help to Mother Mary, and soon I felt the atmosphere calm down, a smell of roses, and I fell asleep again. About three weeks after that, I had a rescue experience, it was a forest as far as I could tell, and in that forest there were several beings or people who were holding a little girl trapped, we were in bigger numbers and we managed to "kill" everyone the next day, still in the experience I find myself in a kitchen with the others who had this same experience, commenting on what happened the previous night, but most were thinking it was a simple sleep, where everyone was involved, but at the time I went to say no had been a simple "dream" but a real rescue mission, a very dear person said not to say anything and leave them thinking it had been a "dream." About two months after that, I had an experience where I was in my room and had several small beings, with eyes well pulled and half bluish, I was standing and completely paralyzed, one of them came towards me and said that soon I would have contacted my galactic family, I asked when and he replied "Be calm and patient, very soon." In February of this year, I had an experience with the Arcturians, I consciously felt the energy they sent into my body, and then felt leaving the body, but when I was within inches of the ceiling, they said that my body was very heavy and that I had a blockage that made my body heavy that way, and soon I felt myself coming back to my physical body and they said, "You're going to have to help us too, for we've come to get you and we're going to take you." Leave the body and then I was taken to the backyard, and I heard a female voice crying out loud, saying, "I'm sorry to delay. You are the light, you are the cure." I can not remember the rest, for I was pulled into my body very fast, as if they had been catching on my heels and dragging me, and me shouting that I did not want to go back. Since this last experience above, I'm trying to send these questions, but I always had a problem, so a few days ago, I think it was Friday (05/05) or Saturday (05/13), I felt a strong energy for my body, something told me that I would leave the body, so I started to force and ask to leave the body, because something does not let me out easily, as I mentioned above, but this time was different, I tried 4 times, no results in the first, two, in the third, I felt my multidimensional body floating a few centimeters above my physical body and then, about 3 seconds after precisely, I returned to the body, in the last attempt it leaves the body for a few moments, was in lotus position and upside down, my multidimensional body moved close to the wall as if it wanted to leave the field of some magnet, I felt that it was a few inches from the ground, I opened my right eye and I could see that it really was a palm or a hand and half of the ground and begged to let me stay out of the body, but something pulled me very violently into my physical body, the time I came back it seemed that I had fallen about 10/20 meters high and I was physically breathless, with a little difficulty breathing. Could you explain to me why this happens and if there is something I would have to do to get out of the physical body more easily? Taking advantage of it, I would also like to know the reason why I generally feel that something is pulsating in my spine, as if it were a heart beating and the reason why I can not stay very long lying belly up, because I feel a very great nuisance of mine column. And if they can (or are allowed to respond), they could Who is Avilon from the Asturc Star System? Good and beloved Masters, excuse me for this book, but I must understand these experiences and events, if you can explain, of course. I thank you immensely for listening to me, for being with me always, and I know that you are with me as I write this, because I confess that I am crying, laughing and very happy. Gratitude, my beloved brothers! beliefs that something was good or bad, because it was all part of your stories and contributed to what they are today. But if they insist on returning to the past, mixing information with the present time, the only consequence they will have is the imbalance. You will not be able to clearly understand any of the facts of your life, and you may be able to distance yourself from experiences that would bring rich learning, because you have brought memories of fears and traumas that are no longer part of what you are. Work on silencing the mind. Work on finding the light and straight path of individual pursuit and the purpose of your incarnation. The memories and visions that come only surrender them with love to your I Am, commanding that these experiences be combined as wisdom, so that you then assume your true identity which is only the detachment of all those personalities that have manifested through you in Times. Just surrender with love and gratitude, and accept that from that surrender begins the new, and that memory just once was. If you choose to follow a son, you will be supported by the Masters, when you decide to abandon these confusions of the mind, and open yourself to the new that will come only with the complete emptying of all this information. Follow in peace son.